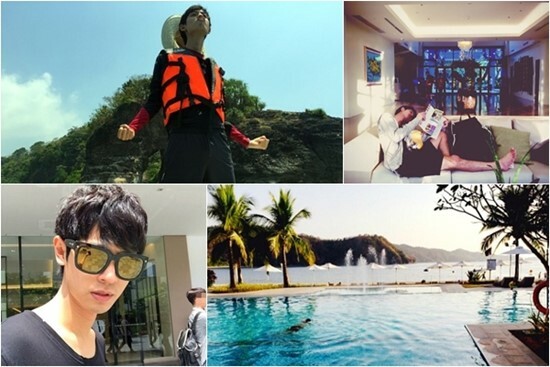 The 26-year-old Korean singer Jung Joon-young, who finished in the top 3 of the talent show “Superstar K4,” has posted “wonderful photos” of the Philippines on his blog. Jung Joon-young was in the country last March though Korean media only reported about it a few days ago. One of his photos was taken at Bonifacio Global City in Taguig, while another shows him at Pico de Loro beach resort in Batangas. The singer is familiar with the Philippines as he lived in the country for several years because of his dad’s international business. He can even speak Tagalog. The “Superstar K4” finalist recently formed the group the Jung Joon-young Band. For their first album, the group worked with Brian Howes, Bon Jovi’s producer. Howes produced the band’s titular track “OMG” for release on May 27. Other members of the Jung Joon-young Band are Jo Daemin, Lee Hyun-kyu and Jung Seok-won.